Officials say Abu Bakr al-Baghdadi is still alive but injury and poor health forced him to relinquish control of jihadist group. Abu Bakr al-Baghdadi, the leader of the Islamic State (ISIS) jihadist group, is still alive but injury and poor health have forced him to relinquish control of the group, an Iraqi intelligence chief and U.S. officials said Monday, according to The Telegraph. "We have irrefutable information and documents from sources within the terrorist organization that al-Baghdadi is still alive and hiding," Basri said. He added the ISIS chief had suffered from “fractures and serious wounds” which were likely the result of previous airstrikes on the organization’s strongholds in Iraq and Syria. Baghdadi, who also suffers from diabetes, is thought to have been left unable to walk unassisted from injuries incurred from a raid in 2015 which were exasperated by another last May, according to The Telegraph. Basri described his condition as “severe”, saying he added that the jihadist had recently been admitted to a hospital in the Jazeera desert for his “deteriorating psychological state”. In recent years,there have been endless conflicting reports about Baghdadi's whereabouts and about whether he is even alive. 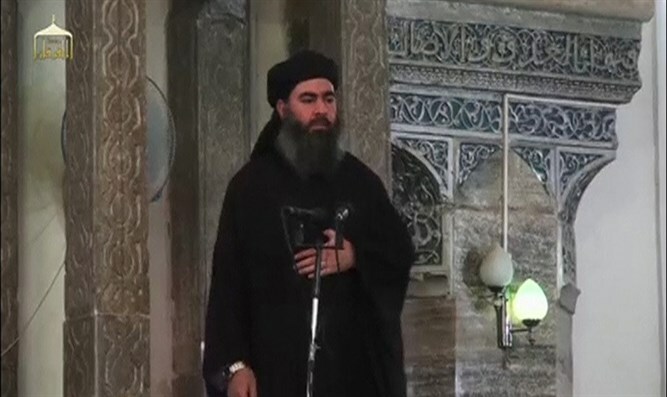 In September, ISIS released a recording of Baghdadi, presumably to refute reports of his death. The most recent report, citing a Hezbollah-run media unit, said the ISIS leader was in the Syrian town of Albu Kamal during the Syrian army and its allies’ operation to clear it. The unit did not say what had happened to Baghdadi. U.S. officials confirmed to CNN on Monday that while Baghdadi's injuries were not considered life-threatening they did mean he has not been able to continue to command the daily operations of the group. Baghdadi, whose real name is Ibrahim Awad Ibrahim al-Badri, is thought to be communicating with the group’s followers via voice messages sent over encrypted app services. ISIS retains a significant presence in the desert plains of northeastern Syria's Hasakeh province despite having lost most of its cross-border "caliphate" which once also covered a third of neighboring Iraq. Hisham al-Hashimi, an adviser to the Iraqi government on its battle with ISIS, said that of the group's 43 founding members Baghdadi is the last one left, according to The Telegraph. He said most of the group's most senior commanders had been killed, leaving the jihadist group without any real leadership.